The Art of Video Games: From Pac-Man to Mass Effect (not to be confused with the very similarly titled The Art of Video Games by Grant Tavinor) was created as a companion piece and complement to an art exhibit of the same name presented by the Smithsonian Institute that ran at the Smithsonian's American Art Museum in March of 2012. The book, comprising 216 pages, is a fully realized coffee table artbook that showcases both the art and graphics of gaming's short but illustrious history, as well as summaries of games, and interviews with the game's designers and artists. Not surprisingly, a book about the history of art in gaming is centered first and foremost on the visuals of said games. Each two-page spread devoted to a particular game features colorful images of the game, and the entire page background is often created from an image of the game. This makes for a very attractive book to leaf through and spurs reminiscing over the nostalgic images of gaming's past for gamers who grew up with those games. In addition to the images, game spreads also contain biographical writeups that touch on, albeit briefly, the history behind the game's development and its art. There are 80 games covered in all within the book, which were voted on through fan selection from an initial list of the 240 games that were showcased in the actual exhibition. While the list includes plenty of revolutionary games, the fan voting process also produced numerous games that seemed to make the cut more for their popularity than for any enduring legacy or renowned effect they had on art in gaming. The game biographies also do little to shed any real light on what graphical techniques made the games revolutionary or unique, or their overall place in gaming's artistic history. As such, the book feels somewhat like a disjointed journey through a series of disconnected games, rather than a cohesive whole that tells one story of the progression of art in the gaming world. The book also fails to delve into specific techniques that became mainstays in the industry, such as the use of motion capture, nor does it delve into the systems behind the games, and how they impacted what could be done graphically, and why gaming graphics were able to improve so rapidly over a relatively short period of time. One other area the book fails to touch on is the actual debate of gaming as an art form. 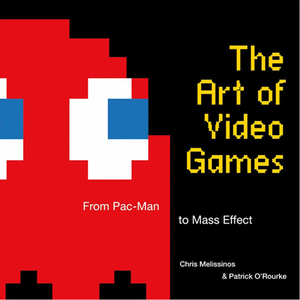 While the book and exhibit themselves are validation from Smithsonian that gaming is indeed art, the book doesn't really stake a claim as to why, or compare the experience of gaming to the experience one gets from different art forms. One feature of the book that does provide more sustenance in terms of the technical aspects of the game's creation are the interview segments with various industry personnel. In these sections, artists and developers discuss their thought processes behind their creations, and what influenced them to depict their games in the way they did. Even the interviews are missing some background information that should've been standard however, which can leave readers wondering how they're reading about, and what game(s) they worked on. The Art of Video Games should be at the top of every old-school gamer's wish list, or anyone with an interest in art or gaming's past. While it's not quite as deep as it could have been, it's undeniably riveting to look at, and does provide some great insight on the history of game development, and how the industry rose from obscurity to eclipse Hollywood in annual revenue.